What Won’t You Do Today? It is no secret that creating a daily “To Do” list is a beneficial habit to help both organize and prioritize tasks. Establishing a morning ritual that includes writing down what you need to accomplish that day (in order of importance) will help you to stay on track, visualize progress as you check tasks off of your list, and is more effective than relying on your memory. 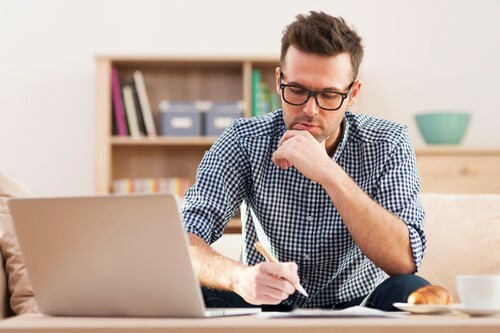 Although making a daily “To Do” list is a widely accepted and generally successful practice, have you ever considered creating a list of tasks, activities or actions that you simply shouldn’t do throughout your work day? Think about anything that could distract you from your goals or is not on the top of your priority list for that particular day. 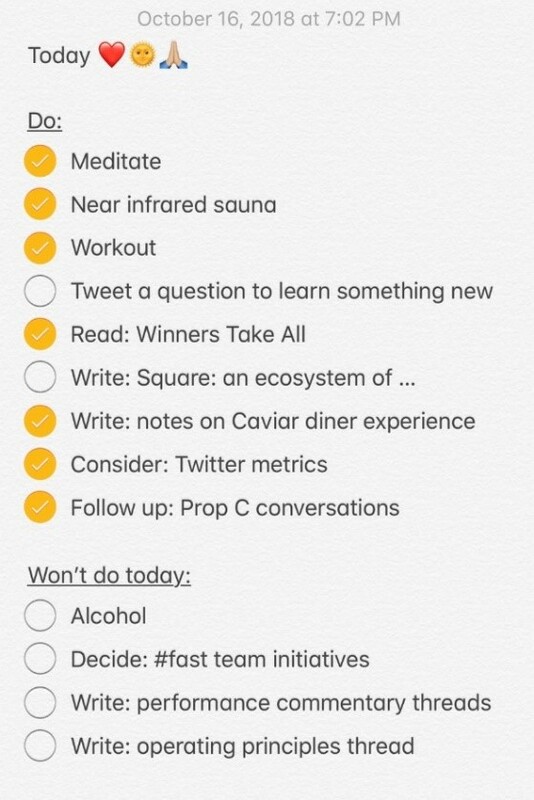 Jack Dorsey, CEO of both Square and Twitter, recently brought the idea of a “Won’t Do” list to my attention in the form of a Tweet, and even included his own list as an example. 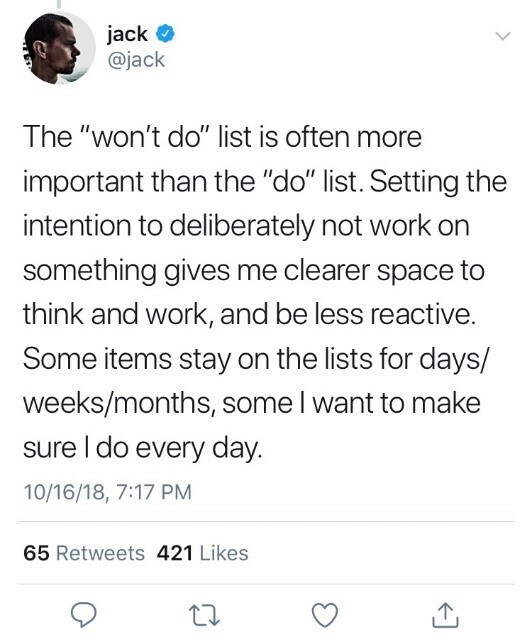 What Jack openly recognizes is that being intentional in planning what you won’t allow yourself to do with your time is just as important as making a list of what you need to accomplish that day. By creating a “Won’t Do” list to accompany your “To Do” list, you allow yourself the space to focus on the tasks that require your immediate attention. As you sit down to make your “To Do” list tomorrow, consider adding a new section and determining what you won’t do that will help you to be productive and successful. What is going on your “Won’t Do” list?